Update: I've posted my full review here with the original first post quoted below. Disclaimer: In exchange for my feedback and testing reports of amp pairings, Danny McKinney provided me with a pre-production SR1A (formerly named SRH1A) loaner unit and, after deciding to pull the trigger, I also received a production version of the headphones at a small discount. Most of this review was written with the pre-production set. However, Danny has assured me that the loaner is identical in design and signature to the final version, and I have not been able to notice a sound difference between the two sets. The Raal Requisite SR1A review has been a particularly difficult one to write. Alongside the AKG K1000 and Mysphere 3, the SR1A’s are part of a very exclusive group of headphones that have neither earcups nor an enclosure. The soundstage, energy delivery and imaging of these “ear mounted speakers” are different from that of conventional headphones. For the K1000 and Mysphere 3.2, both of which use more-or-less conventional, power-hungry dynamic drivers, that’s where the differences (mostly) end. Not for the SR1A. The SR1A uses driver technology derived from Raal’s aluminum ribbon tweeters, an unprecedented move among headphones. In more ways than one, the SR1A’s signature is a massive departure from what we’ve come to expect TOTL headphones to sound like. And while I admit to rolling my eyes whenever I see the words “speaker-like” in a headphone review, I can mostly go straight-faced on the claim that, to some extent, the SR1A’s don’t really sound like headphones. Adding to the challenge of writing this review is the sheer, electricity-bill increasing amount of power that the SR1A’s require. If you don’t have and aren’t planning to get a speaker amp that’s at least 150 wpc into 4 ohms, there’s little point in reading any more of this review. The numbers that Raal Requisite list are not general guidelines like the K1000’s 8w+8w sweet spot, they are hard targets that must be hit, or else you may not be able to enjoy them at a comfortable volume. No headphone amp will work with these, and direct A/B’s against other cans become a non-trivial task. Sufficient to say, this review has forced me to put in work. The short of it is that whether you will like these headphones is largely a matter of both taste and the strength of your source and/or files. Personal preferences aside, the SR1A’s are arguably the single most exciting new development in the summit-fi headphone world since the advent of planar drivers. 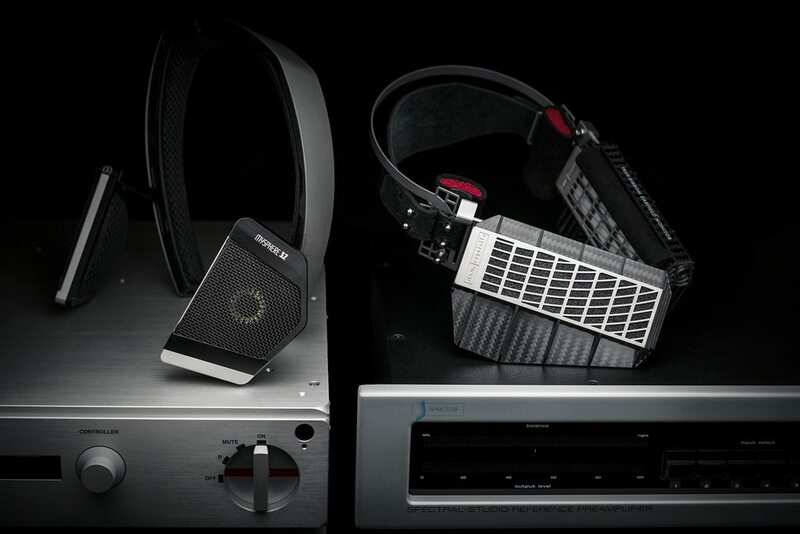 Raal and Requisite Audio have demonstrated that, in contrast to chasing the relatively incremental on planar and electrostatic designs, radical departures from the norms of headphone design can still lead to radical gains. I need to give a massive shoutout to Goodwin’s High End, where Alan and Dana practically made this review possible by giving me access to an incredible selection of high-end speaker amps and literally spending hours helping me set up demo systems. If you ever find yourself in the greater Boston area, definitely consider checking their showroom out. The SR1A’s are built like a piece of professional equipment. 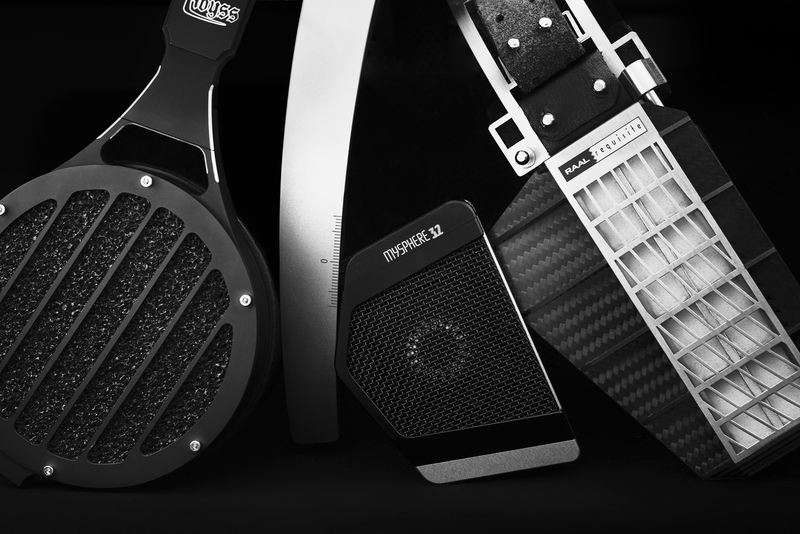 They don’t quite have the loving craftsmanship and polish of Final Audio or Ultrasone’s limited edition lineup, but the thicker-than-usual steel headband guide and extensive use of carbon fiber lends itself to a sturdy feel. Absolutely nothing on them feels delicate, as if they’re meant to be thrown around in a busy recoding studio. 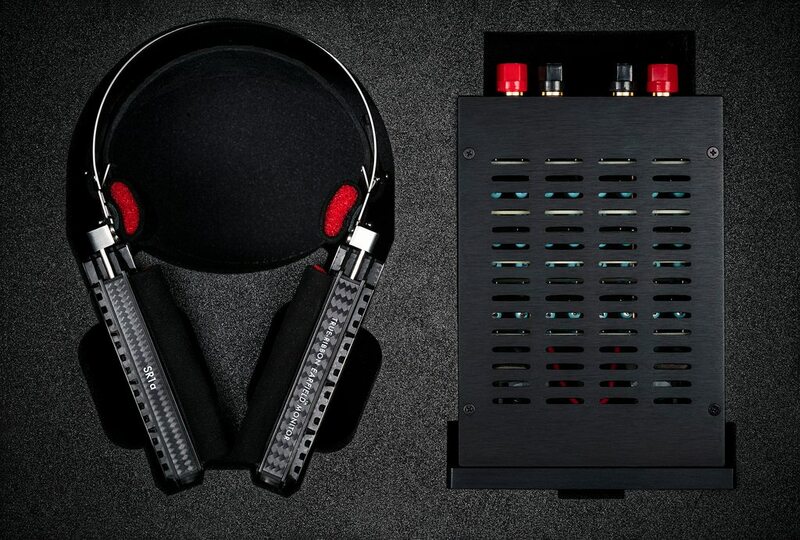 The heavy-gauge Pelican case that comes with the headphones adds to that perception. Opinions might differ, but I like the Pelican's functionality over a wood presentation box. The Pelican is so well-built that I wouldn't hesitate to check it in on a flight. Adding to that durability is the amazing modularity of these headphones. The cable, cushions, headband, and even the ribbon driver “cartridges” are entirely user-replaced. I mentioned in my Mysphere 3.2 review that I love modularity in headphones, and the SR1A runs with the idea straight to the end zone. Want a plushier headband? Grab any random piece of leather, punch a couple holes, and that’s your new headband. Had the misfortune to blow a driver from an amp short? Cartridges are $150 a pop. I should mention that Raal Requisite is promising a 5-years warranty guarantee on these - a rare thing for headphones. The cable that I received with the production SR1A’s is extremely stiff, being solid core 24 awg silver plated copper. However, Danny mentioned that he didn’t get the production-version cable material in time for my pair. Subsequent orders should come with a more pliable, stranded cable in the same gauge and material. It should be noted that cable resistance is critical to the performance of the headphones. The adapter box is design to take 0.2 ohms of net load on the headphone-facing end, and the net resistance of the cable should absolutely not exceed 0.2 ohms. This means a minimum of 24 awg wire for a cable of roughly 7-8 ft, and a minimum of 20 awg for a cable of 12-14ft. It should also be noted that the wire goes from dual 3.5mm trs jacks (the supplied jacks are trrs, but the pinout bridges the second r and s) to a female 4 pin XLR jack, with the male jack on the adapter box. This is to prevent the user from accidentally plugging the headphones into a normal headphone amp. With only 0.2 ohms of total resistance on the cable and drivers, powering an amp on with the headphones directly plugged in will immediately cause it to go into protection. One thing I should mention is that I’ve found it difficult to source high-quality stranded wire that is sufficiently thick for the headphones, but Raal Requisite does offer replacement cables at a variety of lengths and the appropriate thickness. The supplied, passive adapter box takes in up to 150 watts for the purpose of properly loading up the amplifier and not delivering too much current to the drivers. If I understood Alex’s explanation correctly, the box’s 5.6 ohms of internal resistance effectively turns the voltage-drive of the speaker amp into a current drive system, solving the problem caused by the ribbon drivers being massively less resistive than the cable itself. The box also limits how much power can be loaded onto the drivers to prevent the drivers from physically hitting the chassis. The downside is that you‘re not only throwing out power from the amp - unless you’re running a Class D amp you’re getting a far greater than 1:1 ratio of heat vs. power delivered - but also up to 150W of excess power from the box. It’s great if you’re in Boston during the winter, not so great if you’re in a warm area during the summer. “That is not an unfortunate circumstance”, as Alex, the lead engineer behind the SR1A says, “systems approach perfection when their efficiency approaches zero”. Ergonomics are weird, but surprisingly good. The headband allows for an immense amount of adjustability since you can add mounting holes as needed. There is a “reinforcing strap” that goes over the back of your head that is supposed to prevent the headphones from falling off your head. On the production version I’ve found this to be largely unnecessary: the headband does a great job of keep the speaker on your head and properly centered. As with other fully open designs, my advice is to spend some time figuring out the best configuration for your ears when demo’ing them. The Mysphere 3.2’s, for example, need their drivers to be in a “sweet spot” relative to your ear canals to perform optimally. With the SR1A’s elongated, 4x1 inch drivers, tolerance is much better along the vertical axis but driver placement relative to your ears is still crucial. Opening them up too wide results in a massive horizontal sound stage with no depth, and not opening them up wide enough results in murky imaging as the perceived image from the two drivers overlap. I find myself enjoying them most when the drivers are push forward to the same plane as my temples at a shallow, roughly 35 to 40-degree angle away from parallel, but you experience might vary depending on the size and shape of your ears. Once you do get the drivers to a good location, comfort is very, very, very good. The headphones are reasonably light at 450 grams, and they feel even lighter because most of the weight is closer to your head rather than in the ear cups. They don’t any “clamping” effect on your head, and pressure from the headband is distributed perfectly. I can wear them for hours with zero physical fatigue - the same can’t be said for just about every one of the SR1A’s major competitors. However, two ergonomic issues stand out to me. First, the headphones simply cannot be used while lying down. This is a problem shared with the Mysphere 3.2, but while the Mysphere 3.2 is merely uncomfortable because of the position of the cable exit, the SR1A’s will fall straight off your head. I love listening to music right before bed, and the SR1A’s are just not suited for this task. Second, the fit is just loose enough that, if you walk around with them or tilt your head too far forward or back, they can slide out of alignment and have to be pushed back into place. This is mostly an issue for me because I like to have headphones on while soldering or making cables and need to bend over or reach around for stuff. The SR1A’s are a pretty great option to wear while working at a desk, but the lack of any noise isolation whatsoever is something to keep in mind. The SR1A’s have less isolation than most open-back cans, and if you have a computer (or an actual, fully stocked server rack like me) in your bedroom you will hear the fans and drives over quiet music. They are also loud - the lack of isolation goes both ways, and the driver design puts them further away from your ear canals than most other headphones. You may need to be mindful about noise if you live with a roommate/spouse. The first thing that stands out when you listen to the SR1A’s is the blistering speed of the cans. Ribbon drivers have so little mass that their movements are much faster and more precise than traditional driver technology. Energy delivery has no perceptible lag across the entire frequency range whatsoever - the cans go from 0 to 10 and then 11 immediately, without hesitation. The speed and the dynamic range lends to a refreshing “crispness” that I simply have not heard in any other headphone system. Transitions on the Abyss 1266 Phi or Stax 009 sound downright indecisive and plodding in comparison. When you first put them on, music almost seems sped up because everything is being attacked so rapidly. My mind went from “is my music at 1.1x” to “hot damn that’s fast” to “should music even be this fast” to “I guess this is my speed now” in the first hour I had them on. The second thing that stands out is the soundstage. The size of the soundstage is extremely large, substantially bigger than just about every other pair of headphones that I have tried, with the Mysphere 3.2 being a not particularly close second. More impressively, when you get the SR1A’s in the right spot, you feel as if much of the soundstage is actually outside of your head. The staging not quite similar to that of a real pair of desktop speakers, but the feeling is close enough that you can almost believe that sound is coming from drivers mounted in front of your face, and not to the side of it. The best way I can described the SR1A’s soundstage is that it’s about 30% speaker mixed with 70% headphone. The treble and midrange speed is striking on the SR1A but nowhere near as striking as the bass speed. 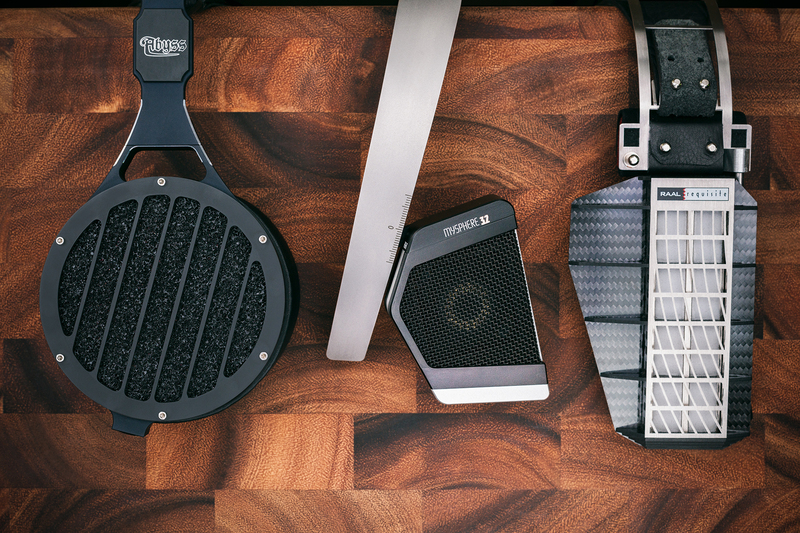 You won’t truly appreciate how much energy delivery lag cans like the Abyss and LCD4 have in their lower register until you’ve tried the SR1A. Bass is on the lean side on the SR1A and technically speaking, the drivers bottom out at around 30hz as opposed to the single-digit extensions on summit-fi planars. But when the SR1A’s go to 30, all of the energy is there in the blink of an eye. The superb delivery lends itself to class-leading bass extension, and I never felt that the 30hz floor was a limit factor in any way. The SR1A’s have arguably the most technically impressive and resolving treble range in any headphone - the ribbons pull out an abundance of detail, and treble structure is impressively solid in spite of the amount of energy being thrown around. While speed lends the perception of detail in the treble range, the actual amount information is also superb. The treble response is highly linear though, and if you are sensitive to sibilance, they do have the potential to be sibilant with neutral amps. If you want to listen to the SR1A’s as if they are a pair of traditional headphones, a strong KT88 or KT150 amp will introduce some treble rolloff and shave off the perceived “hotness” that people often associate with linear treble. However, strong solid states will also produce perfectly smooth treble, albeit quite a good amount of it. That said, there is no getting over the point that the SR1A’s are energetic, highly analytical, literally neutral cans. Just about every headphone and most headphone amps on the market very subtlety roll off the treble range to aid in perceived smoothness, and people vary in their ability to handle lots of treble energy. If you're someone who likes to pair something like the LCD4 with 300b amps and enjoy that kind of euphoric, darker signature, you probably won't find an amp that will darken the SR1A’s enough for them to sound pleasing to your ears. But for people who like metal, electronic, or treble-heavy synthetic music - the treble performance on the SR1A alone is worth the price of admission. The midrange on the SR1A is an interesting discussion, something on which my views have evolved as I’ve had these for longer. When I first got them, I thought that midrange imaging was a little soft and recessed. In retrospect, the midrange is actually so resolving that it exposes the flaws in your files and pushes them right into your face - the vocals felt slightly soft because the cans put a spotlight on the softness in a way that the Abyss and the Mysphere didn’t. Switching to masterfully recorded and processed vocals completely got rid of the softness problem. The SR1A’s midrange is also not recessed per se - if the mastering doesn’t do a great job of positioning the vocals, the SR1A’s won’t emphasize or embellish the imaging of the vocals for you. However, the midrange is still quite lean by headphone standards, and the speed takes away some of the “emotion” in vocal performances. Conventional wisdom on headphone midrange performance values clarity of imaging and "lushness" which is often associated with slightly warmer tuning. And even if midrange frequencies are not emphasized, the slower response speed of dynamic and planar drivers is what we are generally comfortable with as headphone enthusiasts. And the fact that response speed slows with lower frequencies helps with perceived clarity of vocals relative to the bass range. The SR1A's are not even in the same post code as that comfort zone. Is a lean, accurate, hyper-fast, and almost too revealing midrange worse than a slower, thicker, lush, more "emotional" midrange? I can see convincing arguments for both positions and ultimately, whether you’ll like these headphones for vocals comes down to this question. That said, for someone more receptive toward a neutral signature and leaner imaging, the SR1A's with the right amp does have the capacity to be a vocal powerhouse, especially with extraordinary well-mastered files. Assuming that everything is being driven exceedingly well, the Mysphere 3.2 - a free-floating dynamic driver design that’s about as perfectly optimized for human voice frequencies as drivers can be - is still my choice for the strongest midrange imaging and doesn't trade off much midrange resolution against the SR1A's on any system. The Abyss 1266's midrange is arguably a tiny bit more pleasing in its imaging, thicker and more full-bodied but isn't quite as revealing as the SR1A. And while the LCD4 is the least resolving, thickest and most "lush" of the bunch, I don't think that resolution or imaging is a substantive concern with any of these headphones, if you can drive them to their full potential. Performance wise, what Raal and Requisite has accomplished is not just technically impressive but unprecedented. You will not have heard a pair of headphones with more resolution, a bigger soundstage, or with faster transitions. The faults I perceive can mostly be chalked down to deliberate design decisions - at the end of the day, Raal will sell more of these things to high-end recording studios and high-power sound engineers than they do to audiophiles, and those people will prioritize clarity, resolution and a truly neutral response. If you believe that the perfect headphone should be a neutral “pipe” of music from the amp to your ears, the SR1A’s come meaningfully closer to that goal than anything else that’s currently on the market. Nagra Classic INT Just barely powerful enough for the SR1A’s, the Nagra has amazing midrange density and is superbly clean with the SR1A’s. 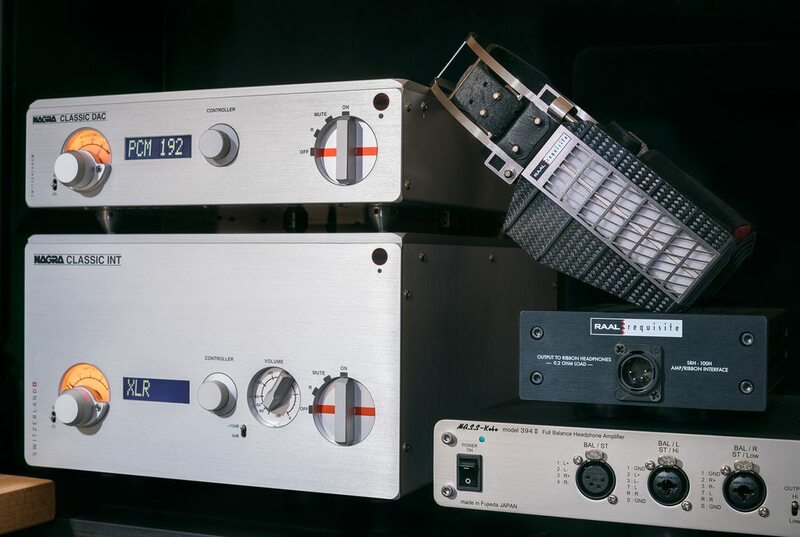 I think I would have went for a more powerful amp with more power reserve if I were shopping a new high-end integrated unit right now, but the INT driven with the Nagra Classic DAC is still my go-to system for the SR1A’s with most types of music. Simaudio Moon 600i Exceedingly neutral and polite, one of the better value propositions for driving the SR1A. Among the amps listed here, this one is probably the least flavored. It does sound a tiny bit boring with the SR1A, although if you really like an uncolored and transparent signature this amp could be a great choice. Octave V80SE One of the three tube amps that I’ve tried with the SR1A. Also slightly underpowered but not as much as the Hegel Rost. The tubes slow down the SR1A just a bit and adds warmth to the mid-lower midrange. Feels like a more “tube” amp than the REF 75 but I didn’t get a chance to listen to them side by side. Treble is rolled off but still very fast, much faster than the 1266 phi with a fast solid state amp. The KT88 tubes do add a slight bit of “graininess” to the midrange that I didn’t like as much. Audio Research REF-75 On the more neutral side of the V80SE, and also slightly underpowered. I ran this directly from the the Berkeley Audio Alpha DAC 2 and the combination worked reasonably well. I want to say that this amp is also slightly more detailed and refined than the V80SE, but I’m not sure how much this has to do with the V80SE being used as an integrated, and the REF75 being driven straight from the DAC. NAD C368 This is the cheapest amp I’ve tried the SR1A’s with. The build-in DAC on the C368 is awful and borderline unusable. However, moving to a Berkeley Alpha DAC series 2 resulted in a surprisingly listenable system. The pairing compared not unfavorably in resolution and has superior dynamics to driving the Abyss 1266 phi's through a WA7 or nx03 with a similarly strong DAC. A sample size of one is not quite representative but I would expect the SR1A to be very listenable on most power amps in this price range. 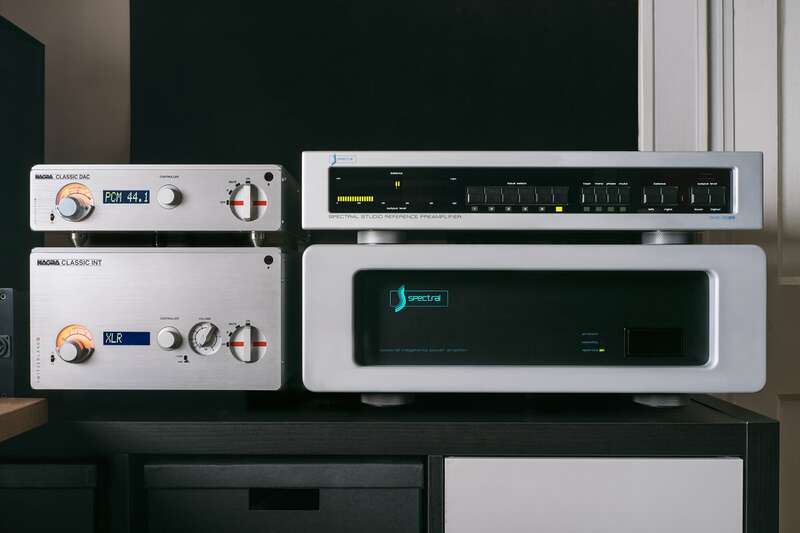 Hegel H190 The built-in DAC seems to punch at or above its weight, and the amp has a light, clean and smooth signature, if a tiny bit lean and indecisive compared to stronger stand-alone power amps. The headphone jack is actually driven by the same circuitry as the taps and does fairly well with both the Ether C Flow and LCD3. The SR1A is pretty good on this amp - transparent, clean, with pretty good resolution for the price of the system. If you're looking for a simple, no-fuss solution for the SR1A that also works with normal headphones, the H190 seems like a solid value proposition. Hegel Rost shares the H190's signature but has less grunt. On only 75 watts of output at 8 ohms you can feel that the SR1A is struggling a little with bass extension, although loudness was not an issue for me. For the price difference I think that the H190 is clearly the better option, but I wouldn't mind using the Rost with the SR1A's on a day-to-day basis. Spectral DMA 150s2 + DMC 30ss This is the Spectral setup that I run at home. The 30ss is much quieter than the DMC 30 and with the SR1A the combination is sharp, clean, bright and, above all, insanely fast. Composure is somewhat impacted by response speed, though, and the combo is not quite as composed as the Nagra INT or even the 600i. Older Spectral setups seem to have a “minmax” effect on the SR1A. Speed, dynamics, and clarity of imaging are pushed to the extreme but at the cost of coming across as brittle and somewhat shouty. I don’t like this combination for anything except electronic and synthetic music, but with those music types performance is absolutely extraordinary. Spectral DMA 240 + DMC 30sc This is the Spectral setup that I want to run at home, and will probably eventually upgrade to. You’re still getting the lightning quick response, the punchy bass and the clarity, but the new-generation Spectral’s stay dignified and smooth where the older systems get harsh. Resolution is absolutely superb on this system, and I love how the treble stays composed and non-fatiguing in spite of being the absolute fastest treble I have ever heard. The system is whisper quite on even the Mysphere 3.2. Thrax Spartacus 300 I did, in fact, manage to find a 300b amp that has enough wattage to drive the SR1A. The Thrax uses 6 300b tubes per side to go up to more than 60 wpc. Nominally underpowered, the amount of current from the Thrax is such that it seems to overcome deficiencies that typically arise from driving the SR1A’s with underpowered amps: bass is surprisingly good with the SR1A’s and the midrange is sweet and lush in a way that I have not heard on any other amp. For better or worse, the “ribbon-ness” of the SR1A’s are substantially mitigated by the amp, they slow down, the bass loosens up, and they simply sound like an overwhelmingly good pair of headphones, incredibly resolving and with accurate imaging. The combination is wildly impractical, and I didn’t feel that the system added anything to technical performance over the “merely” $25,000 Spectral monoblocks. However, it is a testament to Raal’s engineering that you could drive the SR1A’s with amps at this level of performance, and they still allow the amp’s highlights - the composed speed of the Spectral, the sweetness of a pure 300b design - to shine through in a meaningful way. To SR1A or not to SR1A? The more I listen to the SR1A’s, the less things I find to criticize it. It’s not that they are perfect headphones - but instead of flaws coming from engineering limitations or oversights, their design trade-offs are a necessary aspect of making these headphones work, in the sense that they are uncompromising tools for professional recording and mastering. The bottom line is that they aren’t trying to cater to audiophiles. However, in spite of all that and some not insignificant caveats, the SR1A’s are amazing audiophile headphones if you can live with its limitations. For people who run sufficiently strong speaker setups and who are looking into a headphone system, the SR1A’s appeal is self-evident. You get to keep everything you like about the speaker setup, right down to literally running it on the same taps, and with headphones that sound more similar to a pair of speakers than any other pair of headphones. For people who want a single headphone system for both personal listening and professional audio, the SR1A’s are arguably the single best double-duty option on the market: they’re simply too good of a production-level tool to pass up. Otherwise, you need to be willing to invest in a strong, probably quite hot, large and power-hungry amp that may not work well with your other headphones, and be okay with a realistic amount of treble energy, and give up any notion of noise isolation and deal with a non-enhanced amount of emotion in vocals and the mid-to-bass range. Then, with the SR1A’s you are rewarded with incredible, class-leading resolution, staging, speed, and just about the most dynamic music representation attainable in the headphone world. These are, as a matter of fact, higher-performing headphones than the Susvara, Abyss 1266 Phi, LCD4, Stax 009 and the Mysphere 3.2. But they are also a more constraining and demanding system than any of the other options. And while I am perfectly fine with the SR1A’s in their current form, I would like to see Raal and Requisite make a more concentrate push toward the head-fi market as opposed to the professional - the modularity of the headphones means that they could sell a speaker adapter box with treble rolloff and a bit of midrange coloring, and all owners of the SR1A’s would be able to enjoy that option at a relatively small extra cost. Commenting from a marketing standpoint - a slightly more “hi-fi” tuning would go a long way in terms of making these sound less alien to audiophiles, especially those who grew up with tube amps and vinyl. However, that departure from conventional head-fi equipment is also what makes the SR1A’s truly special. It’s probably the case that most people who are reading this review, and who are actually in the market for a $3,500 pair of headphones are not entirely unreceptive toward crazy ideas. And as crazy ideas go, Raal and Requisite have accomplished something remarkable: going from scratch, up against headphone designs and technology that’s been iterated on and perfected for the better part of a century, and still managing to be in the same conversation as - if not outright besting - the biggest players in the market. If you’re not wholeheartedly against a lean, fast, and relatively bright signature, the SR1A’s offer the rare opportunity of owning something unapologetically, fundamentally different, that somehow managed to also be great. Syzygy, Rayzilla, Aeron and 9 others like this. So this is a 7K hp/amp setup minimum? 3.5K for the headphones and upper high end speaker amp to drive by the looks of it. You have a 15K amp and they sound great, the other amp you like has KT150 tubes only made in russia current production, no NOS available. Hard to say it's a headphone when it needs harbeth P3ESR level of power. Would these be the craziest headphones of all time? Not being able to use any headphone amplifiers would be a first. I'll be curious to have an audition if it shows up at canjam, chances are the price might be worth it, 7K for an Abyss setup is understandable because it delivers. Figure I'd start a thread here with some early impressions, since Danny is finally sending out review samples for these. The short of it is that other than some questionable stuff coming out from China, these are the first aluminum ribbon driver headphones. Because the internal resistance of the aluminum band is so low and because the product is essentially a pair of tweeters being press ganged into full frequency range duty, they require an external 4 ohm adapter box for tuning and protection of the amplifier. The box makes these things incredibly hard to drive - think 50 watts/4 ohms per channel at a minimum, and 125w+ as a good target to hit. They will actually draw 50 watts on peaks if you like higher listening volumes, so tube amps outside of a few select designs (KT88's, KT150's, strong 845's?) simply won't be able to feed them properly. That said, if you can drive them off tubes the pairing works like a charm. The headphones themselves are light and comfortable. 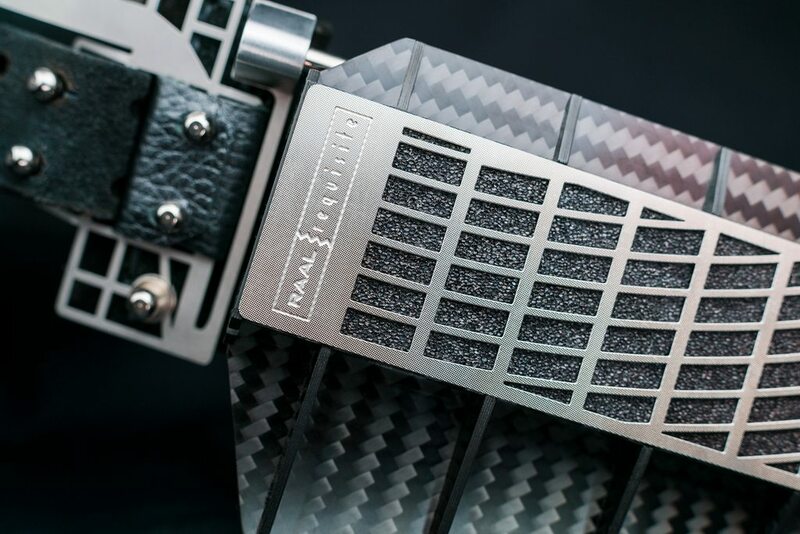 Extensive use of carbon fiber means that the drivers have better weight distribution than they look. Fit is K1000-style with two foam pads and a soft overhead leather band to spread the weight around. I can wear these for hours with zero fatigue which really can't be said for the LCD-4 or the Abyss 1266's. The cable is detachable with dual 3.5mm connectors and actually accounts for most of the load from the adapter box output: more than 90% of the 0.2 ohm load is from the cable and not the ribbon. One would think that ribbon drivers can't deliver proper bass but surprisingly, bass is not an issue at all. It's punchy and well-defined, very much on par with the 1266 phi's, a little lean compared to something like the LCD-4. Treble is definitely the strongest point on the SR1A with incredible speed, clarity and massive dynamics. The speed is almost a revelation of how slow "normal" headphones are in terms of rapid transitions. I'd go as far to say that the treble delivery on these with the Nagra INT is a meaningful step up from the likes of the 009/BHSE combo or even the HE90. It's that good. Midrange isn't quite recessed per se but I feel that it's a relative weak point of the Raal's. The SR1A's midrange has enough resolution but the overall structure is a little soft, especially when you compare these to a reference-level midrange such as that of the Mysphere 3.2's. Vocals aren't intimate in the way that the Utopia or LCD4's are; the lightning fast transition speed is somewhat of a detriment in that regard. That said, I had no issues enjoying vocal-heavy tracks, and the spaciousness of the open design leads to an almost "live house" feel that I can get behind. So far I've tried them with a couple of integrated and power amps, and my favorite combo is probably a tie between the Audio Research REF75 and my Nagra Classic INT. Amps with midrange emphasis helps with overall coherence as do amps with a bit of treble rolloff. The more neutral Simaudio power amps felt slightly too polite with the Raal's, and Spectral's house sounds delivers a bit too much energy into the treble range. My impression now is that people are going to have a love-hate relationship with these not unlike that of Spectral. A lot of it comes down to how much treble energy one feels comfortable with and preferences between the free-floating bass signature of ear-mounted speakers and the larger bass quantity of high-end planars. That and actually owning an amp that's powerful enough to drive them. So this is a 7K hp/amp setup minimum? 3.5K for the headphones and upper high end speaker amp to drive by the looks of it. You have a 15K amp and they sound great. Hard to say it's a headphone when it needs harbeth P3ESR level of power. I don't think they need that much (expensive) power - I have the Nagra because I run all of my headphones on it, and while it "only" delivers 100 watts at 8 ohms, the quality of output is superbly clean and I can even drive IEMs on the Nagra without much noise. But you can probably get reasonable results with a cheap and powerful integrated unit since the Raal's are power hungry more than anything, and that's something I plan to test in the near future. I agree that these are a much more radical departure from "normal" headphone design norms than anything I've seen. There's a "we'll build the best headphones ever and practical considerations be damned" vibe to them and I can definitely appreciate the engineering and risk-taking from Requisite Audio. I'm going to ask Danny about Canjam plans. He was at RMAF so chances are he's going to at least send someone over. I'll probably bring my pair to Canjam NYC if he's not around for that. Edit: Here's a photo of the adapter box and headphones alongside my rig! hellwhynot, Philimon and bengo like this. I’ve been keeping an eye on these things for what seems like the better part of a decade now. Or at the very least, the project that was to become this (these look quite a bit fancier than I remember). I know I’m not alone there. Ribbon headphones have fascinated planar-heads forever; you can see talk of them in some of the oldest threads on head-fi and others. Will be positively strange to finally hear these things. Elmer Danilovich, taisserroots, Zhanming057 and 2 others like this. Probably someone could design a specialized HP amp which can drive these directly (without the transformer, or whatever's inside that box). Yup, that would be something incredible, but it would have to be a monster transconductance amp, and for optimum results paired with a a similar DAC (kinda like the Bakoon DAC and it's "Satri link" outputs to have an all current drive setup). That's a pretty interesting idea. Although you'd still want a way to physically prevent the headphones from being plugged into a "normal" amp, and an all current drive system will be even more of a specialized product than a strong power amp. Maybe something to be sold as a special bundle with the cans would work. Still really enjoying them, with the strap set up just right I can wear them without the stabilizing rear strap, which makes them just as comfortable to wear as the original K1000's. Philimon, Thenewerguy009 and 9suns like this. I have no experience with it, but Krell has their CAST current drive system as well. That would be a solution, however not the most elegant AFAIK, as the amp also has an I/V converter inside to be used with "regular speakers". A true current drive amp has no damping factor, and it's power doesn't double if the impedance halves, however it can only be used successfully with speakers or headphones with a purely resistive impedance. An amp that would work with the Raal headphone, should have (according to the power requirements provided by @Zhanming057 ) 125 watts, and, to be used directly, be capable of doing it at 0.2 ohms impedance (the black box provided uses caps and resistors to up the impedance to 4 or 5 ohms to allow the use of more common amps) constantly without going on fire. That would be quite a monster amp just for the headphones. A DAC with current outputs like the Bakoon one would be the icing on the cake for the all current drive setup. Edit: Also, the amp can't have turn on/off transients and must have 0mv DC offset, as ribbons are extremely sensitive to it. There's plenty of info at the Apogee Forum and some Diyaudio threads about direct driving ribbons, very interesting reads. Philimon, 9suns and Abhishek Chowdhary like this. Ailun has a ribbon cable open back headphone on sale in China since late 2018 for about $300. It's not very good though, at least from what Ive heard. It must be pretty difficult to tune these things if the project from Real stayed in development for so long. Between Real and Mysphere, I've been quite impressed with the new crop of ear mounted speakers. Even more for Real because it's such a different design and coming from companies with no headphone design background. It's surprising that it has abyss levels of bass despite being a suspended design with no earpads to create a seal. I wouldn't call it "warm", more of a "punchy but neutral". The bass extension is great but you're not getting Abyss 1266 levels of bass quantity. That's probably just a fundamental design constraint though, and of all the no-earpad designs I have heard, the Raal's have the best bass hands-down. 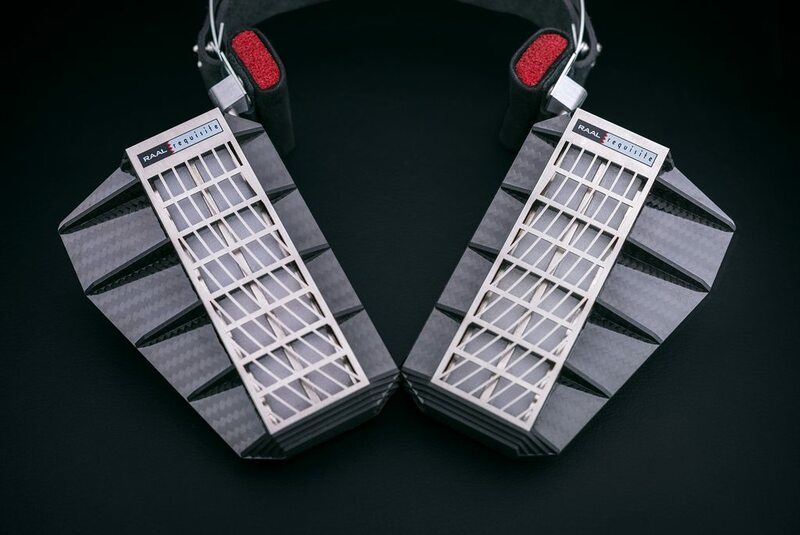 My understanding is that they're getting the bass from allowing the ribbon more capacity to move and push more air volume to deliver at lower frequencies. There's definitely a bit of mid-range performance tradeoff but it's a fascinating take on the issue. I recently got some more time with the SRH1A on a couple power amps against the Abyss, the Shangri-La Jr and the 009 + Kgsshv Carbon combo. This might be a bit of a hot take, but IMO if you're (1) not chasing a particular bass-light signature (2) okay with the general open-ness of ear mounted speaker designs and (3) either own or is open to buying a strong power amp, the SRH1A almost strictly dominates top tier electrostat systems. Compare to the 009/Mjolnir Carbon system, the SRH1A on the Octave V80SE (which is, granted, about $3,000 more amp street price wise) has better treble extension, better speed, almost incomparably better bass extension and quality. The tubes slow down the SRH1A just a bit and adds much appreciated warmth to the lower midrange. What you do lose with the SRH1A is the intimacy of regular cans and the 009 in particular, and you can get more bass quantity out of very strong electrostat systems (e.g. non-jr Shangri-La). I listen to a lot of electronic music and the SRH1A with the DMA400 monoblocks is absolutely amazing for that genre. The speed of the treble response is almost surreal and extremely accurate. Surprisingly sibilance is quite well-controlled and at no point did I feel that the treble was anything less than smooth. This is still quite an extreme pairing and Spectral exposes the thin-ness problem with the SRH1A's mids that tube amps hide very well. For classical and orchestral music even relatively cheap KT150 amps perform quite respectably with the SRH1A, it's mostly a matter of how much treble response is being traded off for warmth. 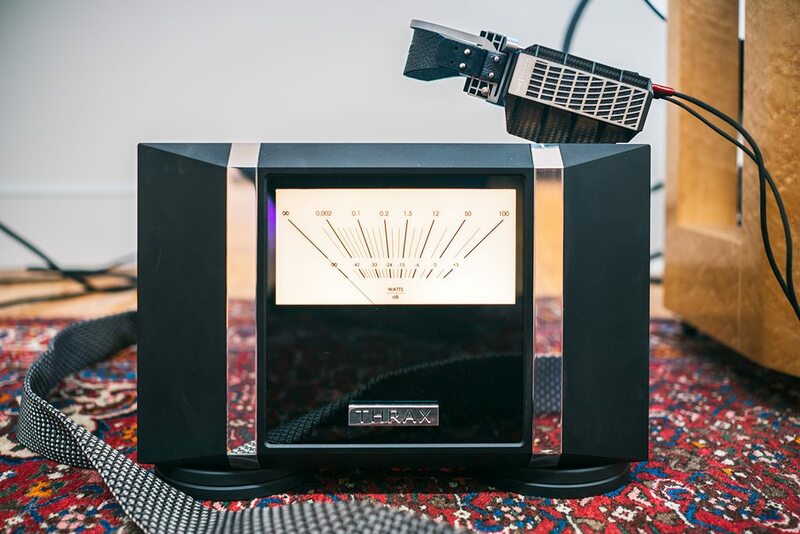 The TL,DR is that if you're considering a high-end electrostat system, and especially if you like fast treble but wished that the Stax's had more bass energy, try to spend some time with the SRH1A before pulling that trigger. Edit: Danny won't be at Canjam NYC but I will be and I'll bring the SRH1A if I can figure out what to drive them with. I'm not even sure if I can find an amp that delivers enough power at Canjam. Philimon, Priidik, 9suns and 1 other person like this. Aleksander at Raal has asked me to post a few words about amp pairings with the Raal SR-1A (yes, that's a name change from the SRH-1A). An amp that is only rated at 100w at 8ohms will run out of excursion on bass-heavy tracks with the SR-1A and display clipping. I tested this on my Nagra Classic INT and didn't notice an issue compared to the DMA150 at what I would consider listenable volumes, and clipping did not happen when the amp was pushed to the max volume. That said, it's possible that Nagra is rating their gear conservatively, or that the amp is pushing out significantly more than 100wpc on a 4ohm load. As a general guideline though it's probably a good idea to shop for an amp rated at much more than 100wpc at 4 ohms for the SR-1A. 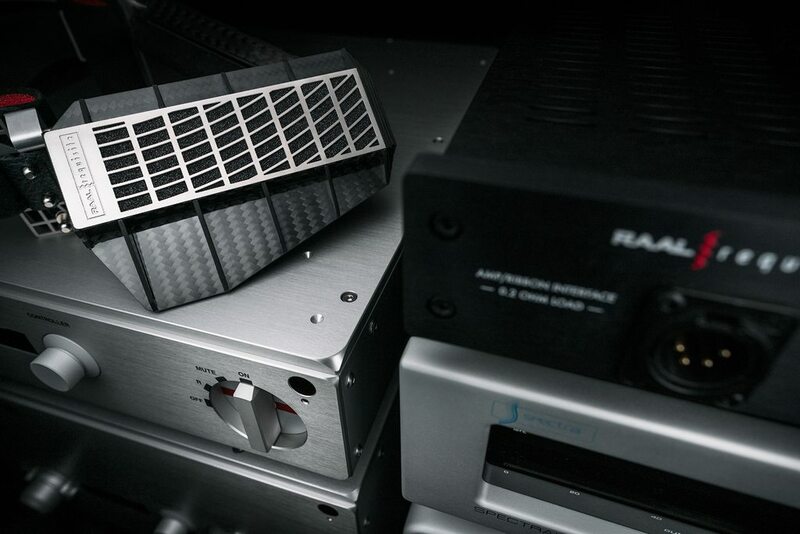 All development, voicing and setup of the SR1A, was done with the Benchmark AHB2 amplifier and Benchmark DAC3L. This is also the "reference" combination that Aleksander recommends for the SR-1A. I have not tried this combination although it's possible that the SR1A will be at the Benchmark booth at Canjam with the AHB2. My take on the AHB2 is that it's quite good value for the money, if a little polite and a tiny bit hot in the treble range. Danny runs his pair on the Bryston 7B³ monoblocks and also with custom-built KT88 monoblocks rated at 120wpc. Philimon and 9suns like this. Thank you for the attention you're giving to our headphones! I see that we weren't quick enough with publishing the specs in detail, so naturally, a lot of guessing is going on. Sorry about that. 1) True ribbons have very low resistance. Typically from 0.015 to 0.08 Ohms. SR1a ribbon is 0.018 ohms, or practically, a short-circuit. 2) Transformers are big and heavy, in other words, you can't wear them on your head. They would have to be on the table, with a 10-foot cable going to the headphones. 3) A cable that would not be too heavy, and acceptably ﬂexible, would not have less than 0.15 Ohms per channel at 10 feet. That means the cable would have at least 10 times the resistance of the ribbon driver itself! 4) While the transformer will convert 0.15 Ohms + 0.018 Ohms into 32 Ohms, and the headphone output will work just ﬁne, there wouldn’t be enough power to compensate for the resistive loss of 10dB or tenfold of power! 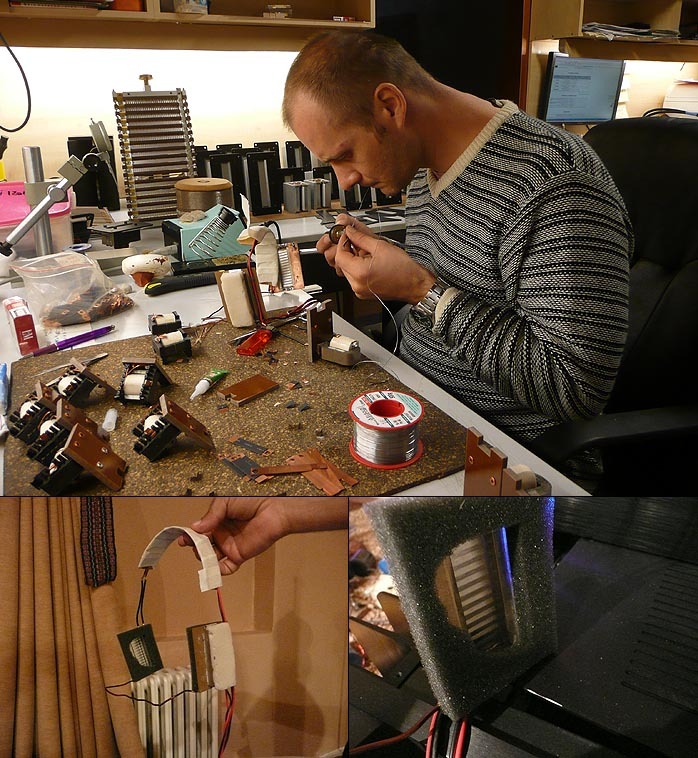 Only 1/10th of your headphone amp power will be developed at the ribbon, 9/10ths will just heat up the cable. 5) That is a 10dB loss of volume, so we can forget using the headphone outputs on CD and DVD players, computers, iPods...whatever! Simply, not enough juice! 6) If we try to compensate by increasing the ribbon efficiency, it would require 3 times stronger magnetic induction at the ribbon, which is about tenfold in weight increase to about a pound on each ear! 7) So, do you prefer wearing 2 pounds of transformers or 2 pounds magnets on your head? Well, neither, preferably! Or, how about using 2 pounds of cabling that will have no signiﬁcant resistive loss? That, especially, is out of the question! 8) Just the 3uH inductance of a normal 10-foot cable will destroy the highs completely when terminated by 0.018 Ohms. Decreasing cable resistance to 0.018 would render all cabling useless, as far as HF response is concerned, as the physically possible inductance is not low enough. Simply, for cabling not to become a problem, cables must be terminated with loads that are greater than 2-3 Ohms. Clearly, there are no good ways to solve a true-ribbon drive problem with headphone outputs or even dedicated, and more powerful, headphone amplifiers. Current requirement and low resistance demand different approach. 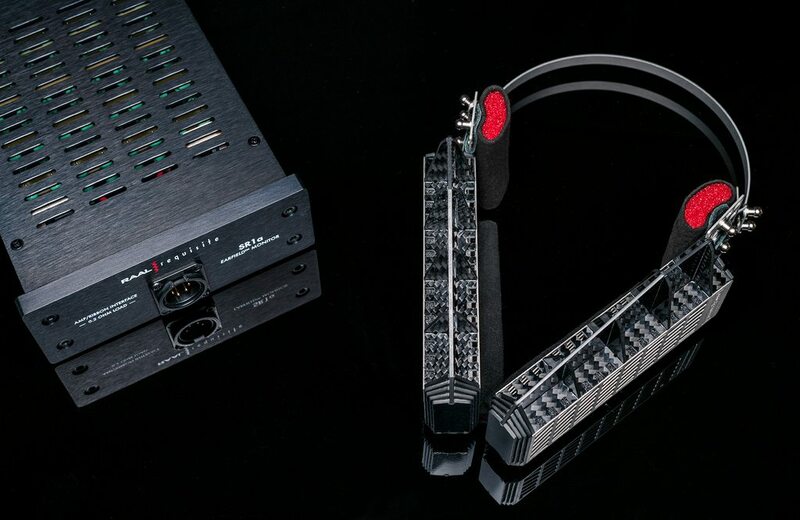 We could have gone with a solution to introduce a very specific amplifier that will drive the headphones, similarly to how electrostatic headphones need their own dedicated amplifiers, but we wanted much more popular and cost-effective solution. Fortunately, the solution offers itself. Since there’s already a 10:1 (or higher) ratio of cable to ribbon resistance, this means that the ribbon will not be controlled by ampliﬁer damping. That was clear from the beginning of designing our headphones, so the ribbon excursion and damping control was done by passive means, using the aforementioned small amounts of acoustical resistance. So, since the amplifier damping factor plays no role and if the cables need to be terminated with more than 2 Ohms, then we can use a resistor of any convenient value that is connected in series to the headphones and their cable. As far as the ribbon is concerned, this will become a current-source operation mode. To develop 450 mW of power at 0.018 Ohms load, we need 5 Amps RMS. Loudspeaker amplifiers can easily deliver 5 AmpsRMS current. A good example is a 100W / 8 Ohm (200 W / 4 Ohms) amp that is loaded by 5.6 Ohms. At that load, it will deliver 140W RMS and the Current will be 5 Amps RMS. There are many amplifiers like that out there. In the end, in musical peaks, we are burning 140 Watts at the resistor, just to properly load the amplifier, while developing only 0.45 Watts at the headphones. That is not an unfortunate circumstance. As the old adage goes: “all systems approach perfection when their efficiency approaches zero”. In reality, there truly is a benefit to this; resistive loading will bring the best out of the amplifier's sound capabilities and SR1a will allow it to be easily heard. Supplied with SR1a headphones is an Amplifier Interface unit. It contains an array of small, large value resistors, which are paralleled in enough numbers to achieve 5.6 ohms of combined resistance and 140W of power dissipation with moderate temperature increase. Also, it contains a passive de-emphasize circuit that corrects for line-source/open baffle rising response. Together with the cable and headphones, the amplifier load will be ~6 Ohms. The amplifier connects to binding posts / banana plugs at the back, and at the front, the SR1a cable plugs in to a male 4-pin XLR connector. The connector gender is chosen to prevent the possibility of plugging SR1a into a conventional headphones amplifier and effectively short it, causing damage to both the amp and the headphones. The Amplifier Interface unit is air-cooled, so it should be kept on top and not covered. Philimon, Walderstorn, bengo and 1 other person like this. Unlikely I have a chance to hear those headphones but almost everyday I listen to my speakers with Raal 140-15D tweeters and consider them to be among the best non-dome tweeters ever. 9suns and Priidik like this. 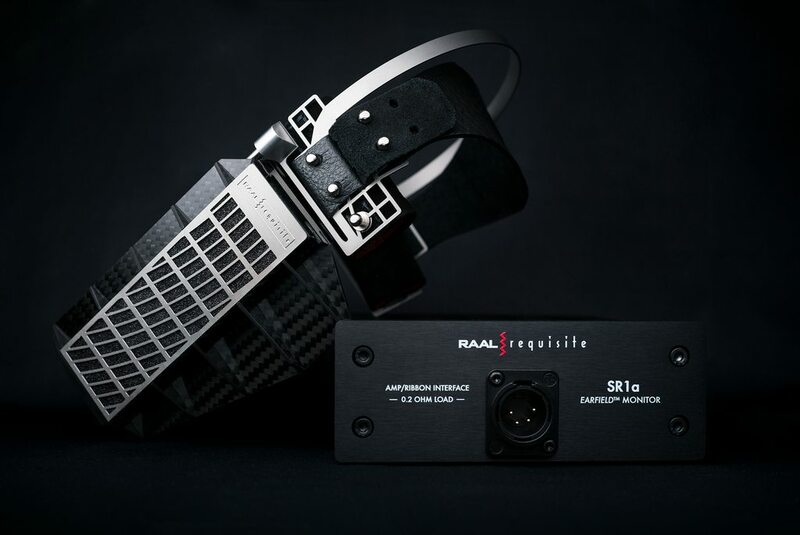 Raal is in Serbia and as far as I know they have an engineering unit and is finalizing the first production run, so if you were to make that trip you might be able to demo both their tweeter lineup and the SR1A. Alternatively, Alexsander can probably send you a demo, although I'm not sure how complicated shipping is from Serbia to Ukraine. Another day, another system for the SR1A Waiting on my production version for the big group photo. On the trip to pick up the preamp I had a chance to try the SR1A with a few "cheap" systems. The cheapest 100w+ integrated at the store is the NAD C368 (MSRP $900, street price $700-ish). The build-in DAC on the C368 is awful and borderline unusable (or it could have been broken, it was seriously that bad). However, moving to a Berkeley Alpha DAC series 2 resulted in a surprisingly listenable system. The pairing compared not unfavorably in resolution and has superior dynamics to driving the Abyss 1266 phi's through a WA7 or nx03 with a similarly strong DAC. A sample size of one is not quite representative but I would expect the SR1A to be very listenable on power amps in this price range. The Hegel H190 is a much more expensive unit, but incorporates a DAC that seems to punch at or above its weight with a light, clean and smooth signature, if a tiny bit lean and indecisive compared to stronger stand-alone power amps. The headphone jack is actually driven by the same circuitry as the taps and does fairly well with both the Ether C Flow and LCD3. The SR1A is pretty good on this amp - transparent, clean, with pretty good resolution for the price of the system. If you're looking for a simple, no-fuss solution for the SR1A that also works with normal headphones, the H190 seems like a solid value proposition. The Hegel Rost shares the H190's signature but has less grunt. On only 75 watts of output at 8 ohms you can feel that the SR1A is struggling a little with bass extension, although loudness was not an issue for me. For the price difference I think that the H190 is clearly the better option, but I wouldn't mind using the Rost with the SR1A's on a day-to-day basis. Having spent time with the SR1A's on the Spectral setup, my views on the SR1A's midrange have become a bit more nuanced. Conventional wisdom on headphone midrange performance values clarity of imaging and "lushness" which is associated with slightly warmer tuning. Even if midrange frequencies are not emphasized, the slower response speed of dynamic and planar drivers is what we are generally comfortable with as headphone enthusiasts. The SR1A's are not part of that comfort zone. Is a neutral, accurate, hyper-fast, and almost too revealing midrange worse than a slower, thicker, lush, more "emotional" midrange? If you're someone who likes to pair headphones with 300b amps and enjoy that kind of euphoric, darker vocal signature, the SR1A on a strong solid state amp is the absolute opposite of that signature, and you probably won't find the pairing pleasing. For someone more receptive toward a neutral signature and leaner imaging, I do think that the SR1A's have the capacity to be a vocal powerhouse, especially with extraordinary well-mastered files. Assuming that everything is being driven exceedingly well, the Mysphere 3.2 is still my choice for the strongest midrange imaging and doesn't trade off much resolution against the SR1A's on any system. The Abyss 1266's midrange is arguably a tiny bit better in imaging, thicker and more full-bodied but isn't quite as revealing as the SR1A. And while the LCD4 is the least resolving, thickest and most "lush" of the bunch, I don't think that resolution or imaging is a substantive concern with any of these headphones, if you can drive them to their full potential. Philimon, 9suns, LordRexter and 3 others like this.